1. This area was settled by immigrants. We are all immigrants, anyway. Not just in the abstract, distant past, but in a real, current way. I'm only in my thirties, but can remember very well that German worship services were offered here not long ago. It's not unusual to hear people talk about the German settlement in everyday conversation. If you're new to town, ask someone to share with you some of the surnames of people in your building or neighborhood that are part of those families, and likely related to hundreds of other people. I think Social Media is cool. I also think the term is a lot broader than most people recognize. Some social media outlets I like, some I loathe, some I don't like but I use because people I want to reach are there. As I participate in sites like Twitter, Facebook, or Linked In, or blogs and forums about more specific topics, I've found two key factors that tend to promote, and indicate, quality. 1. Low Level of Anonymity- users identify with a headshot and a name that is either their own, or a close approximation of it. They often list at least a general geographic area. 2. Unifying Focus- Noise is reduced and relevancy increased on sites that are focused. A site that focuses on a specific industry or a hobby generally is more vibrant than one whose only theme is "social." With those two criteria, I'm excited about a startup social network called Nextdoor. 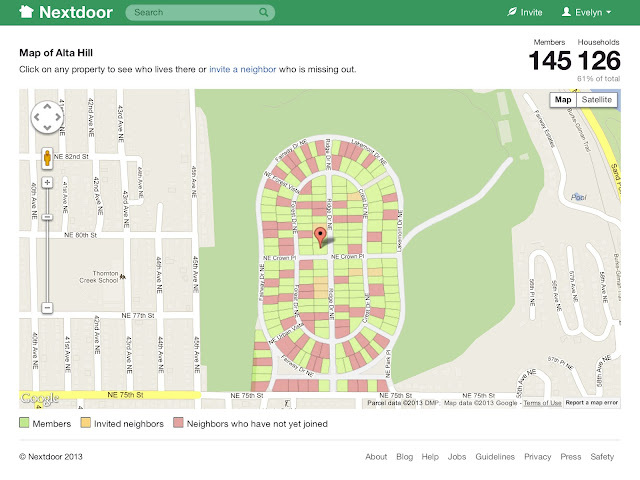 Nextdoor is a private social network that works by requiring new users be mailed a postcard with an activation code to join. To participate, you have to live in a specific area, and to prove it, you need to get mail there. Every user is identified by their name and address, and everyone has an inherent connection, they're physical neighbors. Once active, users can post any kind of content they want, from warnings about a suspicious car in the area, to requests for a good landscaper. Provisions exist for events, HOA documents, and dedicated classifieds. In my opinion, it's a great virtual approximation of a healthy neighborhood. If social media is to have an aim, it could be to bring people together in "real" relationships. 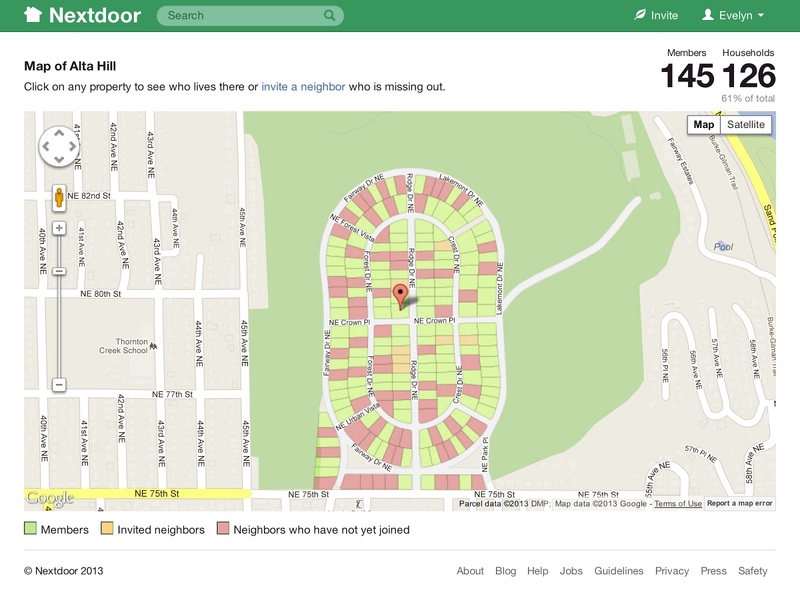 I think that Nextdoor has potential to do that in a very cool way. O Divine Master, grant that I may not so much seek to be consoled, as to console; to be understood, as to understand; to be loved, as to love. For it is in giving that we receive. It is in pardoning that we are pardoned, and it is in dying that we are born to Eternal Life. Amen.